Proudly located in Treaty Six Territory, the Battlefords Region is among the fastest growing communities within the Province of Saskatchewan. Residents and visitors enjoy all of the amenities of a large City with the charm and friendliness of a small town. With a large, young and growing population, the North Battleford region also presents a great market and opportunity for business and service development. We invite you to browse our website, learn about North Battleford and discover the possibilities! 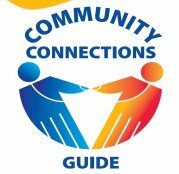 Click on the picture to view the Community Connections Guide. Sign up for North Battleford Rapid Alert Notification System to receive alerts in case of critical events or emergencies (click on image). No Public Notices at this time. Approximately 15,000 people call the City of North Battleford home - making it the fifth largest City in Saskatchewan. 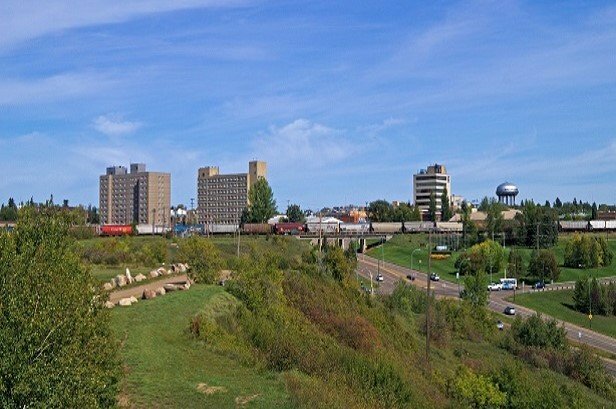 More people travel to North Battleford for work, education, shopping, healthcare or to enjoy the outstanding recreation facilities and sports events. The Battleford's Region trading area is estimated to serve as many as 73,500 people. 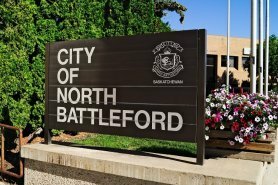 This section provides information for residents living in or moving to North Battleford. Learn about the active role the City plays in community safety and what you can do to contribute to it; find information on permits and licenses, payment options for taxes and utilities, which services are being offered to reduce waste and which education and healthcare facilities are available in the City. Are you new to Canada? Contact the Battlefords Immigration Resource Centre to learn about the services that are available to you in our community. The City of North Battleford Economic Development team is the connection for business support from the City. We are here to create an environment that allows existing business to flourish while encouraging new investment. 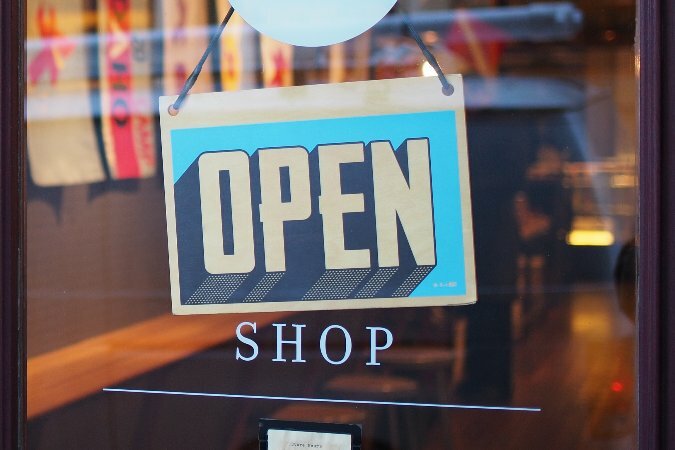 New and expanding businesses that are operating in the renewable energy sector, manufacturing (processing or value chain added), oil and gas industry, mineral processing or agriculture sector might be eligible for the new Business Incentive Program offered by the City of North Battleford. North Battleford’s relative size allows for a flexible municipal government that gets rid of the red tape for fast, friendly business development. If you want answers to complicated development questions, the city development team has professionals in business development, planning, building and licensing. We know everything there is to know about getting the job done in North Battleford. Whether it’s choosing the right location, insight on the local economy or municipal cost information, the city development team can help. North Battleford has an industrial park with over 600 acres of land, highway commercial property with significant traffic counts and downtown development opportunities -- all at a competitive price when compared to other cities in Saskatchewan. There is plenty of real estate here to help you maximize your potential. North Battleford is located along major thoroughfares (Yellowhead Highway and the Canadian National rail line). This, along with our local regional airport infrastructure, will guarantee its growth and importance as a commercial and retail hub for the region that has access to provincial, national and international markets. Get connected…..Get to North Battleford. Whether you are looking to buy or rent in North Battleford, there are a wide variety of housing choices that range from urban to rural, condos to single family detached. All are offered at a full range of prices. According to the Battlefords Real Estate Association, the average selling price of houses in North Battleford is about $190,000.00 and the average 2 bedroom rental rates are $676/month. Due to these low housing costs, the cost of living in North Battleford is one of the lowest in the country. Residents frequently refer to the advantage of living within 20 minutes to recreational areas, including the numerous lakes and parks such as nearby Battlefords Provincial Park and Table Mountain Regional Park – two of the most popular outdoor destinations in all of Saskatchewan. The active family will find a wide selection of opportunities to enjoy, and develop skills in sports and culture. North Battleford vitality in this respect is exemplified by our brand new Battlefords CO-OP Aquatic Centre, NationsWEST Field House, Dekker Centre for the Performing Arts, and the Northland Power Curling Centre. Check it out by clicking HERE. One of the main recreational attractions in the City of North Battleford is the Credit Union CUplex, a large state of the art recreation complex that includes the Battlefords CO-OP Aquatic Centre, the Dekker Centre for the Performing Arts, Northland Power Curling Centre, and the NationsWEST Field House. The North Battleford Civic Centre is the home of the SJHL Battlefords North Stars and hosts annual community events. The City also boasts a wealth of cultural attractions, such as Allen Sapp - the Gonor Collection and the Chapel Gallery. Come and see for yourself! All local government decisions are made at North Battleford City Hall, 1291 - 101st Street. City Hall is the home base of administration and the departments of Legislative Services, Finance, Human Resources, Utility Services, Infrastructure Services, Planning and Development, Leisure Services and the office of the City Manager. In this section, you will meet the Mayor and Council and find information on Council and Committee meetings. In 1988, the City’s 75th Anniversary Committee decided to donate $500 to start the Historic Archives with the goal of maintaining and preserving the rich cultural heritage of North Battleford. Today, a volunteer organization works in partnership with the City of North Battleford towards that goal. The City of North Battleford Historic Archives has a collection of over 7000 photographs, 5000 negatives and over 200 metres of textual records. It is a donation based repository and is made possible due to the generosity of the citizens of North Battleford, who wish to see the history of our great City preserved. Area: Southbound lane of 1200 block of 100th Street. Impacts: Partial closure, limited access. Reason: Repair of collapsed sewer lateral at 1181-100 Street.